After a month long workshop under the guidance of auto experts including pro-custom builders and multiple city finales, 11 Honda NAVi owners from across India have customized their Honda NAVi in their own unique way. 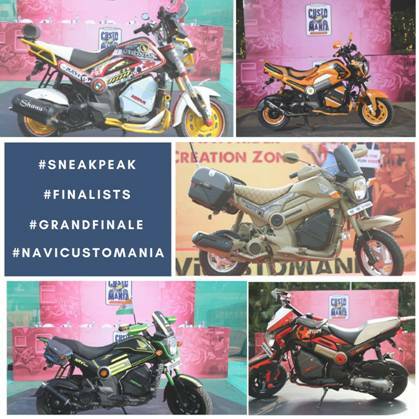 Honda Navi Customania is a contest organized by Honda 2 Wheelers across different cities in India. The contestants will be showcasing their talents in building/modifying Honda Navi. Contest held at every city will have a winner who will now participate in Grand Finale. 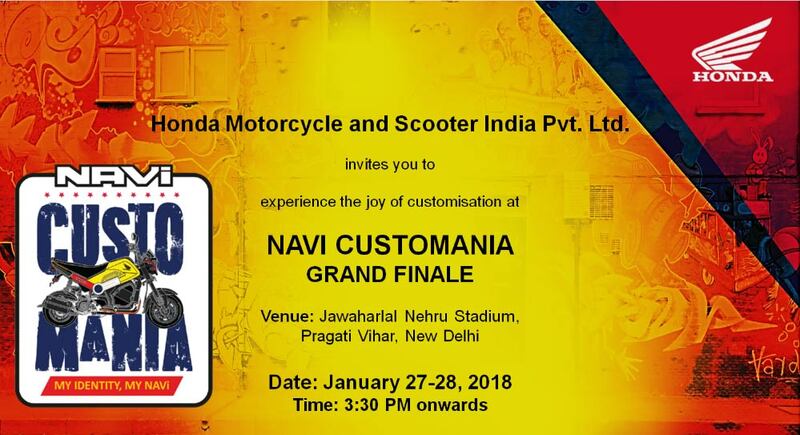 Honda Navi Customania Grand Finale is scheduled to happen on 27th-28th January at Jawaharlal Nehru Stadium, Pragati Vihar, New Delhi.